Founded in the early seventies by Engineer David Arnold. David had been working at the heart of the British motor engineering industry for many years, and in 1974 decided to put his extensive experience to good use and formed Arrow Precision. The company has always been located in the Midlands, at the centre of the British motor industry. This area enabled Arrow to tap into the highly skilled engineering workforce that the region was (and still is!) famous for. It soon became apparent to David that there was a demand for competition connecting rods made to the highest specification, and the company began to develop a product range to satisfy the needs of the discerning UK motorsport market. David’s son, Ian is now the Managing Director and is continuing to move Arrow forward. Ian is staying true to the founding principles of quality, product innovation and service. With forging mills in the UK, Arrow have developed optimum manufacturing methods and materials which, when combined, allow them to create an unbeatable product for both road and track. The ultimate in quality is only achievable using up-to-date methods, the latest machinery and superb engineers. Their highly trained staff monitor every one of the different operations needed to manufacture each and every one of their products, ensuring consistency of product, time and again. The highly robust monitoring process guarantees that all of Arrow's products are truly world class. When it comes to quality, Arrow Precitions name says it all. The most fine Nickel and Chrome alloy steel that is vacuum degassed (to ensure minimum inclusions) is selected for reliable performance. All in house manufacturing processes are subject to sample inspections and constant monitoring, with the latest manufacturing techniques being employed such as laser etching and automatic peening. All manufacturing processes comply with ISO 9002 helping to ensure an excellent reliable product. Arrows customers span all areas of motor sport. From 'track day', ‘fast road’ car and bike applications all the way through vintage / classic and club racers to Speedway World Championship, British Superbike, Moto GP, World Rally Championship, Le Mans, Touring Car, Formula 1 and many more. They even OEM fully machined connecting rods for some of the worlds finest high performance road cars, for manufactures that insist only the best in the world is good enough! Being the main importer of Arrow Precision connecting rods, we can offer all technical service on their BMW product line, as well as special order you any other Arrow Application. If you need custom rods, we are pleased to offer this incredible service for those in the market for a race-ready connecting rod that will shine under the stresses of competition or extreme street use. Whatever the engine manufacture or intended use, through VAC Motorsports together working with Arrow Precision, an uncompromising solution is delivered. 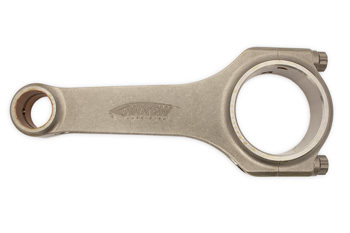 Please Click here to view our line of connecting rods.